Dr. Jones accepts the following list of insurance providers. Select your insurance provider to see more details. As a thoracic surgeon for more than 15 years, I have devoted my clinical practice to diagnosing and treating patients with lung cancer, esophageal cancer, mesothelioma, and all other cancers of the chest cavity. In addition to serving as Chief of Thoracic Surgery, I am the Surgical Director of the Thoracic Oncology Program at Memorial Sloan Kettering Cancer Center. I was one of the first thoracic surgeons in the United States to develop expertise in minimally invasive or VATS approaches, and as such the overwhelming majority of my patients with lung or esophageal cancer receive the benefits of this approach. 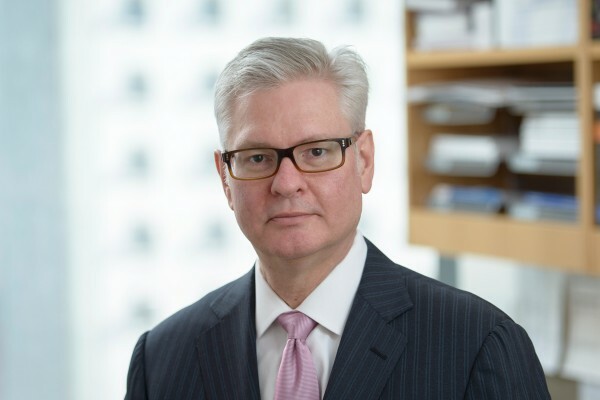 In my role(s) at Memorial Sloan Kettering I am committed to continuing to enhance the quality of care and the outcomes for all patients who receive thoracic surgery at our institution. I understand that each patient is unique, and therefore I strive to design patient-specific treatment approaches that leverage the unique expertise of our Memorial Sloan Kettering thoracic oncology program. I frequently see patients who are requesting second opinions regarding the best treatment options for their cancer. My research focuses on the molecular mechanisms governing the development of metastases in patients with early-stage lung and esophageal cancer. In addition, our group has been a pioneer in exploring the clinical application of molecularly-targeted therapies for patients with lung cancers that will be surgically removed. We are interested in understanding how to best integrate molecular characterization of lung and esophageal cancers, personalized targeted therapies, and minimally invasive surgical approaches to all thoracic malignancies.